Oh boy I love Fall! I grew up on the East Coast in New Jersey and loved playing in vibrantly colored leaf piles and watching as the trees changed color. In college when I was living on the West Coast my mom used to send me boxes of newly fallen colored leaves because I missed them so much! Now as a Californian I don't see as many vibrant colors but we still get Fall here. Unfortunately by the time Fall arrives... Halloween is usually in full swing, so we like to get started doing Fall activities at our house even when it is still hot outside and anything BUT Fall like! Over the next two weeks I will be sharing at least ONE Fall themed craft or activity idea each weekday over on Instagram (follow me at @kristinatoddlerapproved). Some days I'll share more! To get you started though here are 10 of my favorite easy peasy Fall activities that we can do over and over again. The thing to remember about toddlers is that they LOVE repetition... so although you might be chomping at the bit to do something new and exciting every day, they love to do the same things again and again and again. I can't even tell you how many times we did the leaf fall activity pictured above yesterday. Probably a hundred times... and I'll bet we'll do it a bunch of times tomorrow too. Here are a few other favorite simple Fall activities for toddlers that you can do again and again. With toddlers you can skip the alphabet part and just have them match the acorn pieces to the acorn shapes on the large piece of paper. Mix it up by playing the same game using leaf shapes. 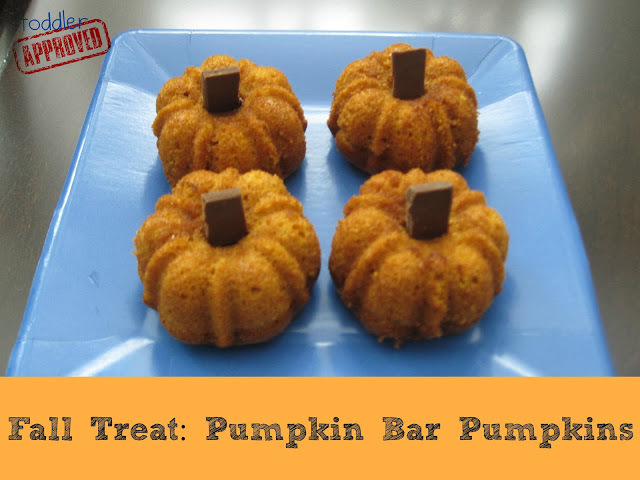 Use a mini bundt pan to make these into pumpkins or just make regular pumpkin bars in a 9x13 pan. Either way, kids LOVE to help with baking! Plan on this being messy but so much fun! My toddlers especially love to pour in cups of flour or help with mixing! We probably make these once a week during the Fall. They have a fun texture and shape so are fun to paint! Add some baking soda and vinegar to turn it into a fizzy painting activity. Fizzy painting never gets old with my kids! You can either cut grooves into your apples or use corn on the cob holders for helping while you stamp! Grab a large sheet of easel paper and put it down and start painting! 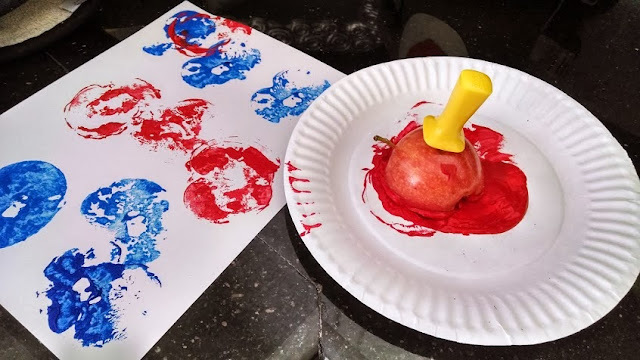 Enchanted Homeschooling Mom shares how she does painting with corn HERE. 6. Make fruit loop trees! My kids love to make and eat these! You can use fruit loops, large pom poms, stickers, buttons, sequins, etc. Craft Morning shares her awesome fruit loop tree tutorial HERE. This is probably the simplest activity you can do. Sometimes it is just nice to keep things a little less messy which is why we love to paint inside baggies. You can do any autumn shapes, but we especially love to use cut out leaves. You could also use REAL leaves! Tutorial HERE. 8. 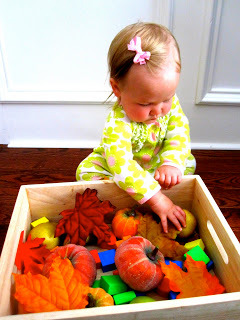 Make a Fall sensory bin. The scents, tastes, and textures of Fall are my favorite! You can make a really simple Fall sensory bin like I made for my littlest one or you can make a more complex sensory activity like some of these listed below. Make sure you pick materials that work for your child. If your child likes to eat small objects, make sure to use larger ones. 9. 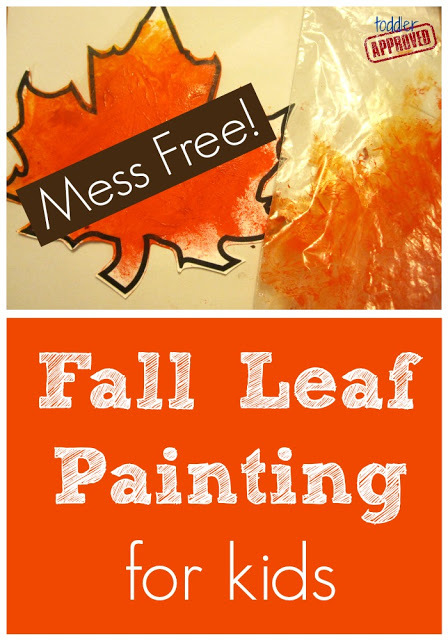 Create with Fall scented playdough! Cathy at Nurturestore shares how she makes Fall scented playdough using cloves, cinnamon, nutmeg, and ginger. Yum! I love these smells. Fall Playdough tutorial HERE. We love to decorate at our house for Fall using homemade creations. Use real leaves or fabric leaves and other favorite embellishments (pom poms, large buttons, scraps of paper, etc.) to create a Fall wreath for your child's door or even your front door! 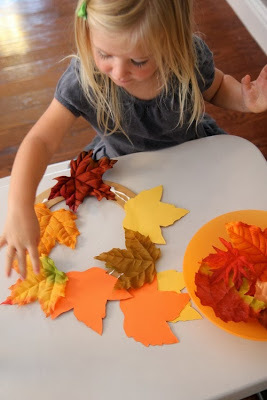 You could also trace their hands and make a Fall colored handprint wreath. Make sure to follow along over on Instagram @kristinatoddlerapproved for even more Fall themed toddler activities over the next few weeks. Follow along using the hashtag #falltoddlerfun and if you do any of our activities or any of your own add the hashtag and tag me so I can come see what you've been up to! 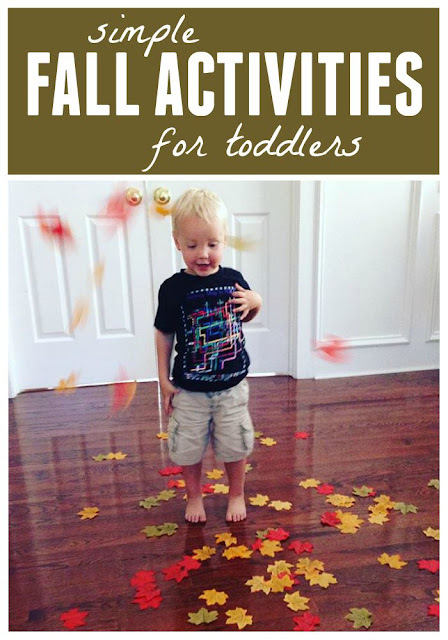 Do you have a favorite Fall themed activity to do with toddlers? I'd love to hear about it! I love your activities for toddlers! Oh to be a toddler again. Do you have any fall activity ideas for students who are in 4th, 5th, and 6th?